I slept in till past noon today and never felt so refresh before. After lunch, I decided to explore the parks and open spaces in Southampton. 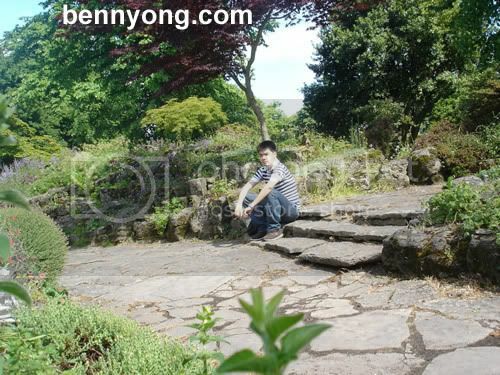 I figured since Summer is approaching and the sun is up, I should be able to enjoy a walk in the park. Armed with a map I obtained from the Central Library yesterday, I started my journey from the top of the map. Here are the famous landmarks and a description of them as I stumbled upon them. 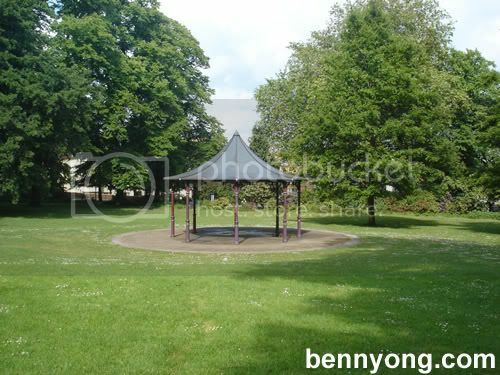 'Enclosure' was commissioned under the Heritage Lottery Scheme as part of a Ã‚Â£4.5m refurbishment of Southampton's Central Parks. It is a four metre high Portland Roach stone sculpture that marks the far point of the main east-west path through West Park. 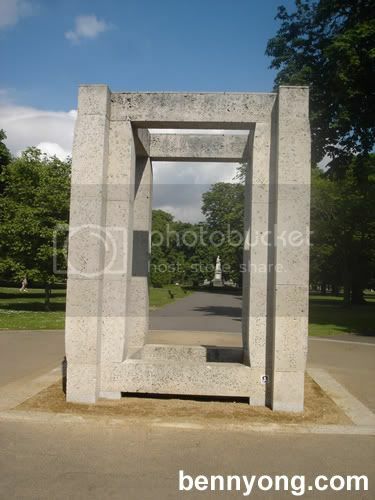 The sculpture frames four skyline landmarks in and around the park. Isaac Watts is one of Southampton's most famous sons. He was famous as an author, educator, philosopher and hymn writer. Born in 1674, he lived at 41 French Street and was educated at the nearby King Edward VI Grammar School. He was one of the leading nonconformists in the town,and is mainly remembered for his hymns which include "Our God, Our Help in Ages Past" which is chimed on the Civic Centre clock at 8am, noon & 4pm. The Cenotaph was unveiled in November 1920, the money having been raised by public subscription. The architect was Sir Edwin Lutyens. 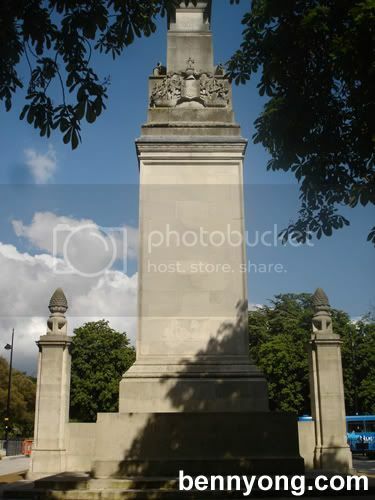 The style is typical of many similar civic war memorials and was the basis of the Whitehall Cenotaph. It is built of Portland stone. The names of 2008 of those who fell in the Great War are inscribed. Dedicated to the engineer officers, none of whom survived the Titanic disaster. It was designed by Messrs. Whitehead & Son and unveiled in April 1914. It is built of grey granite and bronze, and is 30 feet long and twenty feet high. In the centre a winged angel is flanked by representations of engineer officers. Completed in 2001 The Queen's Peace Fountain marks 56 years of peace and the service to the nation by Her Majesty the Queen throughout much of that time. 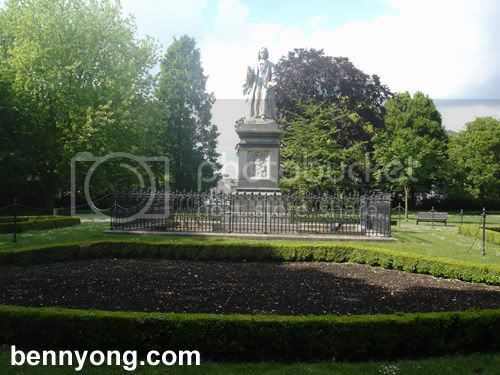 The fountain was sponsored by the City of Southampton Society with funding from the City Council and the Heritage Lottery Fund. Benjamin Brain, a stonemason from Shirley. It was designed by Philip Brannon. The pedestal was removed in 1971 as the Bath stone had weathered badly. 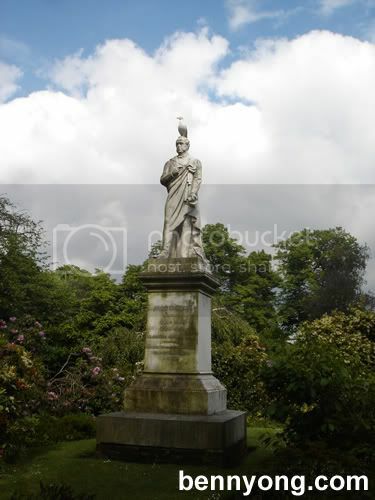 The statue was restored and placed on a new plinth in 2000 as part of the Ã‚Â£4.5m Heritage Lottery restoration scheme. 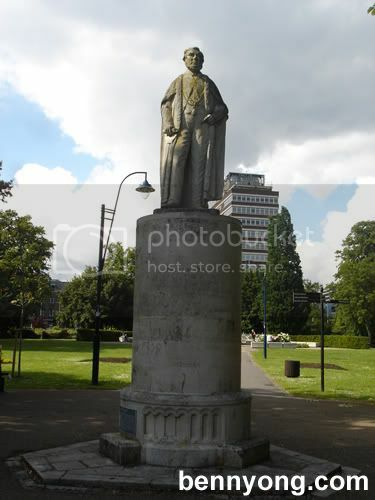 This statue of the 3rd Viscount Palmerston is seven feet high and made of white marble and granite. It was erected by public subscription and unveiled by the Earl of Caernarvon on the 2nd June 1869, four years after PalmerstonÃ¢â‚¬â„¢s death in 1865. The sculptor was Thomas Sharp of London. Palmerston lived at Broadlands, Romsey and was MP for South Hampshire for many years. He was also a burgess of Southampton and is best remembered as a reforming Prime Minster and jingoistic Foreign Secretary. As a result of public demand, a new bandstand was completed in 1999 as part of the Ã‚Â£4.5m Heritage Lottery Scheme parks restoration. The original cast iron bandstand was erected in 1885 in a position now marked by a clump of rhododendron. It was removed in 1940 as a result of bomb damage and as salvage for the war effort. 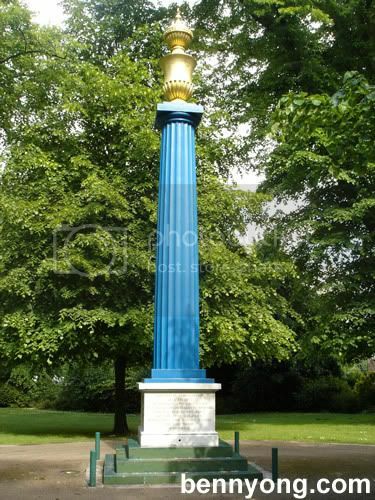 The Gas Column is a 50 feet high fluted Doric column, cast in iron at TickellÃ¢â‚¬â„¢s Foundry in Foundry Lane, Millbrook. It was subscribed as a tribute to William Chamberlayne, MP for the town, 1818-1829. The column has been moved several times. 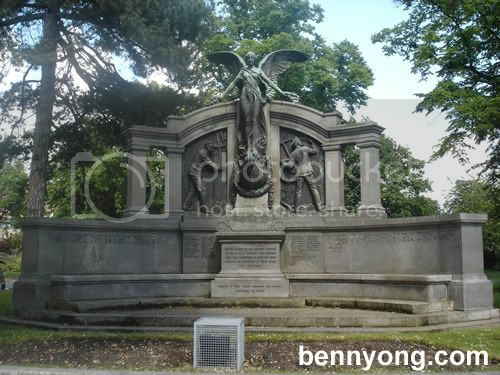 It was first erected at the junction of New Road and Above Bar Street. It was removed to Town Quay in 1829 and transferred in 1865 to Houndwell. 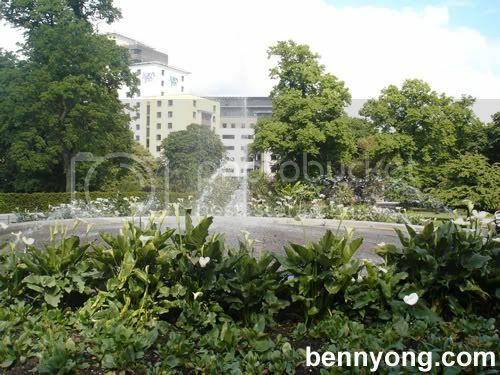 It was repositioned onto Speakers Corner Roundabout in 1957 during road alterations, and again into Houndwell Park in 2000 as part of the Ã‚Â£4.5m Heritage Lottery parks restoration scheme. That concludes my adventure for today. If you are wondering that I did so much research on the parks, well you should know me better. 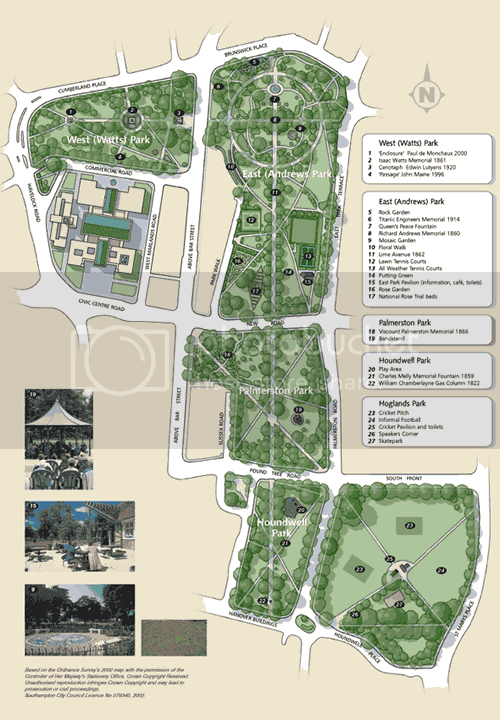 The text and map are from the brochure itself which you can download from the city council website. There are some other open spaces in Southampton which are further away which I am interested in exploring on some other free weekends. The park is lovely. Definitely a place to visit when I am in Soton. Will take you around and also on the trail of the old walls. Cheers.